An A to Z Home Inspection is an objective visual examination of the physical structure and systems of a Home, from the roof to the foundation. Having a Home inspected is like giving it a physical check-up. If problems or symptoms are found, the inspector may recommend further evaluation. We provide Home Inspection services in all of Travis and Williamson Counties, including the cities of Austin, Round Rock, Cedar Park, Leander, Georgetown, Westlake, Lakeway, and Pflugerville. Matt arrived before I did and got started on the exterior inspection on his own. When I arrived he was friendly and immediately started going over things with me. He spent about 3 hours going over everything included in my inspection and made a point to explain everything he was documenting. He answered all of my questions and was quick to offer help and tips on things as we went along. He was very knowledgeable of current and former code standards and offered to answer any code questions in the future for us. The final price came in $85.00 less than the original estimate as he adjusted for differences in things he couldn't inspect because of the home's original construction. I would definitely use them again! Thanks for the great service! Mr. Shapiro with A to Z Home Inspection performed an inspection on a mobile home I have under contract to purchase. Matt at A to Z Home Inspections has been my "go to" guy for over four years. Often buyers especially "first time buyers" don't fully understand the inspection process. Matt takes special care to explain the process, the significance of each item noted for repair or adjustment, and the costs that may be associated with those repairs or adjustments. My clients feel comfortable and confident that Matt and A to Z have completed the inspection with a high level of professionalism. 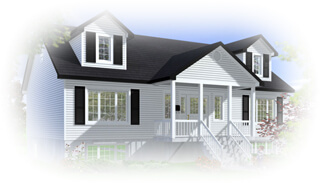 This is a formal testimonial to the superior service A to Z Home Inspection has shown my clients. Several clients have recently purchased inspections from your company. A to Z Home Inspection’s Matt Shapiro has gone above and beyond my expectations. Mr Shapiro’s customer service to my clients was more than I have seen in the past for other home inspectors. His attention to detail through the entire inspection; whether a 1400 square foot house or a hill side mansion, never waned. Mr. Shapiro’s knowledge about what was a major concern or a minor “Home Depot” fix was crucial to my client’s comfort about the biggest investment of their lives. Mr. Shapiro provided pointer for future concerns and details about a property proves the training and education, not to mention life experience, has been top notch. As a Realtor®, I can appreciate the detailed report for negotiation sake, as have my clients. The reports have been very clean and with photo documentation of every point of interest, concern or code violation. I am an independent agent for Keller Williams Realty, Northwest Market Center. I pride myself on providing an excellent product and customer service. This is true for the vendors I recommend to my clients. I am proud to have Matt Shapiro of A to Z Home Inspection as part of that team. Matt with A to Z Home Inspections came highly recommended. He was very professional and courteous and provided us with a very detailed inspection report. Being first time homebuyers, we had no idea what to expect from a home inspection (except what we see on TLC, of course). Matt was absolutely fantastic - super friendly and personable, very professional and gave us a great verbal report on our new home. We could tell he did an extremely thorough inspection, and he was very knowledgeable. Then, a few days later we received the written report, which was amazing. So professional, and even comes with a CD containing the report! I highly recommend A to Z! Serving all of Travis and Williamson Counties, including the cities of Austin, Round Rock, Cedar Park, Leander, Georgetown, Westlake, Lakeway, and Pflugerville.